Sometimes a dress enters your life that is so dreamy and fits so well you almost don't believe it's real. 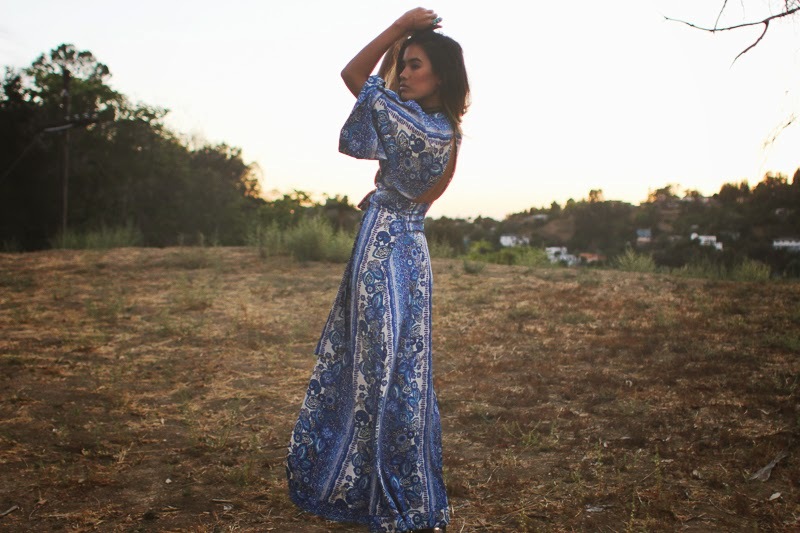 Enter this beauty by Tularosa, which is the bohemian sister brand of my beloved Lovers + Friends. I'm obsessed with this neckline so I naturally had to drape myself in some long necklaces paired with chokers. I had a fun weekend hanging out with friends and celebrating birthdays. I'm not big on my own, but boy do I love celebrating other people completing another year around the sun. But next year, my friends, that all changes because I'm going to do it up big! Until then, BRB, gotta go swing. Gorgeous! That dress is so beyond stunning!